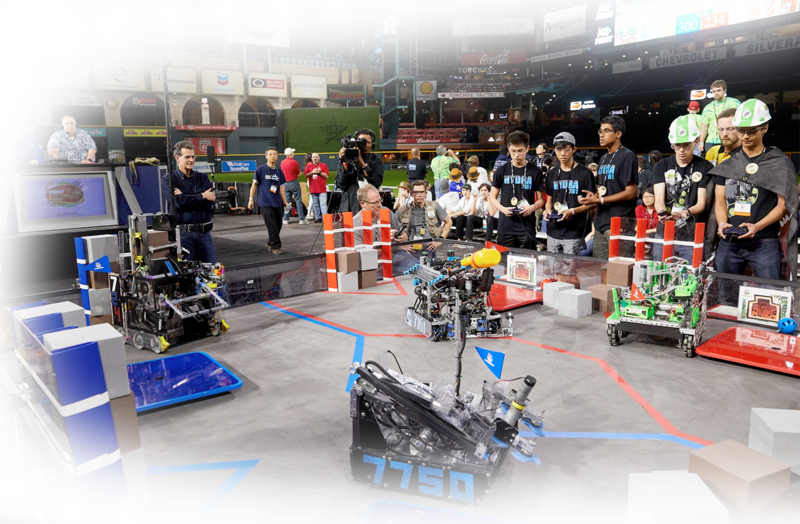 FIRST® Tech Challenge tests teams to design, build, program, and operate robots to compete in a head-to-head challenge using an alliance format. 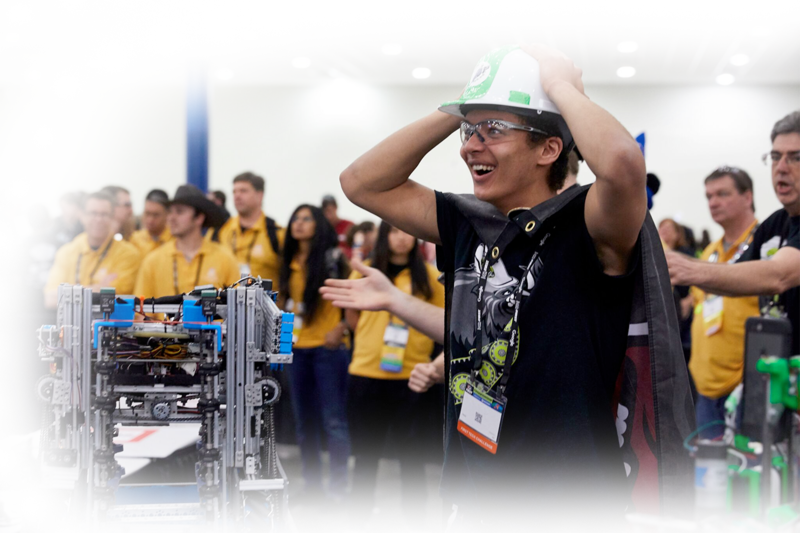 FIRST Tech Challenge Jump Start is available now for teams in the U.S., Canada, and Mexico. The robot kit is reusable from year to year and can be coded using a variety of levels of Java-based programming. 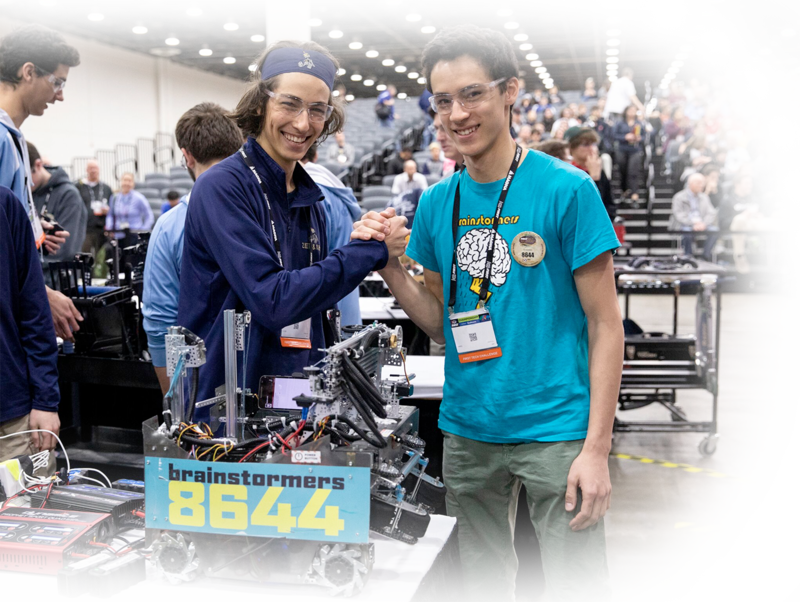 Teams design and build robots, raise funds, design and market their team brand, and do community outreach to earn specific awards. Participants are eligible to apply for $80M+ in college scholarships. Up to 15 students ages 12-18 and two or more adult mentors make a team. Student and adult team members are encouraged to bring any skills they already have - or have an interest in - like programming, metalworking, graphic design, web creation, public speaking, videography, and many more. FIRST Tech Challenge welcomes every student, with or without special skills. The season kicks off in early September when the season’s challenge is announced. Students meet at least once per week starting in September and, depending on their team advancement, could compete up to April. Like any sport or other after-school activity, the more time you invest, the better you grow your skills. There are also off-season events where teams strategize, hone their skills, meet other teams, and have (more) fun! Costs differ by region, but rookie teams can register and purchase a kit for less than $1,000. New teams can expect additional costs including travel, event registration, tools, and team costs. The robot kit of parts is reusable, so veteran teams can expect to pay less. All costs for individual team members are assumed by the team as a group. FIRST offers many fundraising tools, and grants may also be available.